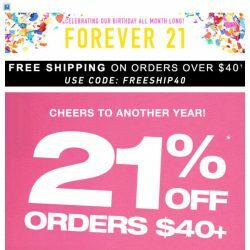 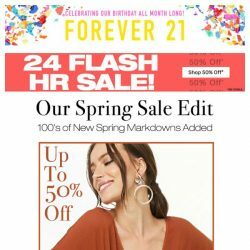 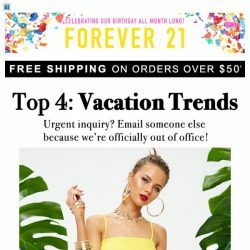 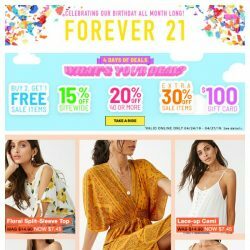 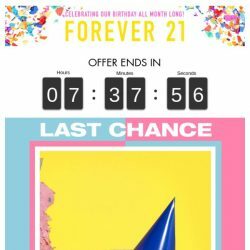 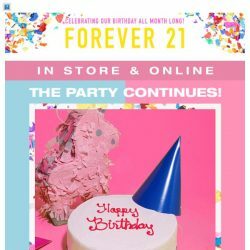 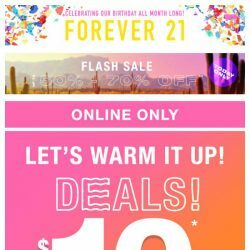 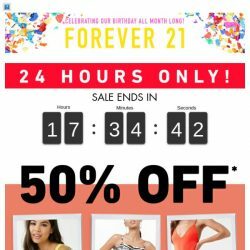 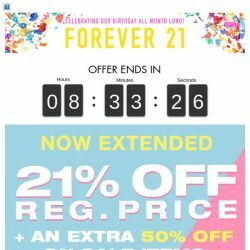 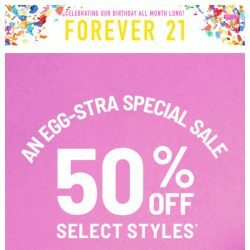 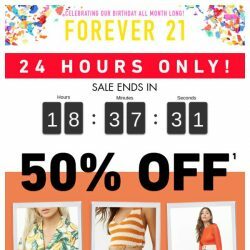 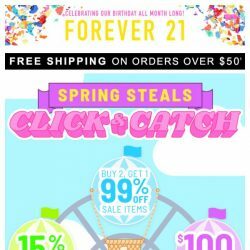 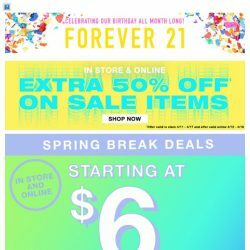 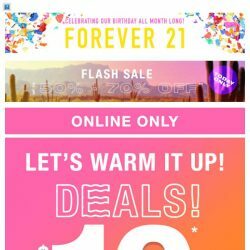 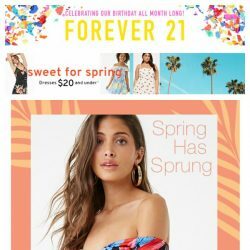 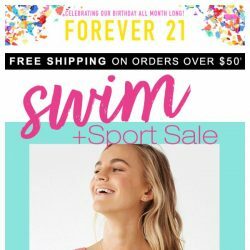 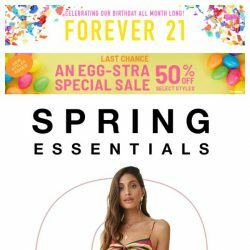 [FOREVER 21] BIRTHDAY SALE Ending…right…about…NOW. 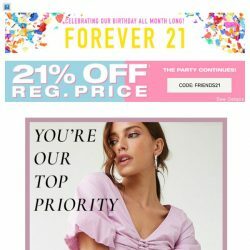 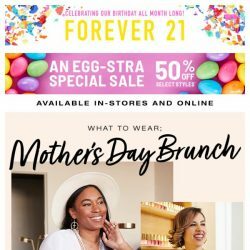 [FOREVER 21] Surprise! 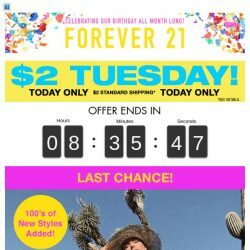 It’s $2 Tuesday!